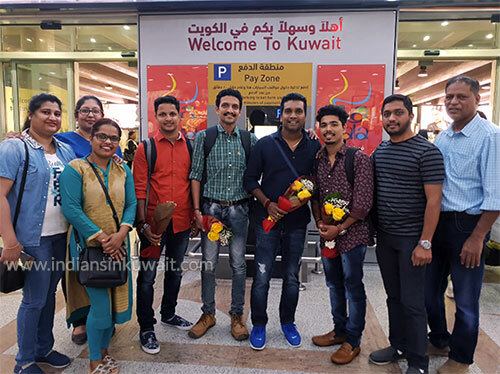 Talented guest artists from Mangalore, Story & Dialogue Writer - Rakesh BC Road, Music Director - Ganesh Kodakkal, Cine Artists - Praveen Kotian Kodakkal & Chandrashekar R. Poojary have arrived in Kuwait on Wednesday, September 05, 2018. Billava Sangha Kuwait Committee members received the esteemed guests at the airport. 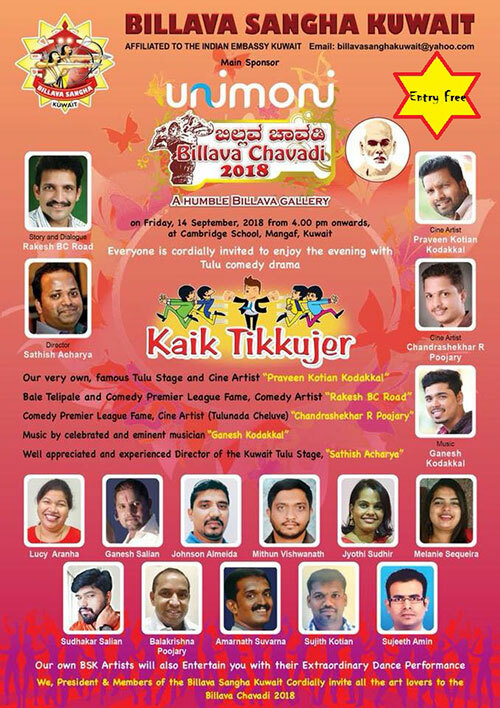 “Billava Chavadi - 2018” to be held on Friday, September 14, 2018, promises to captivate the audience with Tulu comedy drama "Kaik Tikkujer" directed by Sathish Acharya and some fabulous performances our own BSK Artists. Billava Sangha Kuwait welcomes one and all to be a part of a dazzling evening at Cabmridge School, Mangaf, on Friday, September 14, 2018, at 4.00 p.m. onwards and be a witness to a 100% action packed entertainment. The event is open to all and Entry is free.